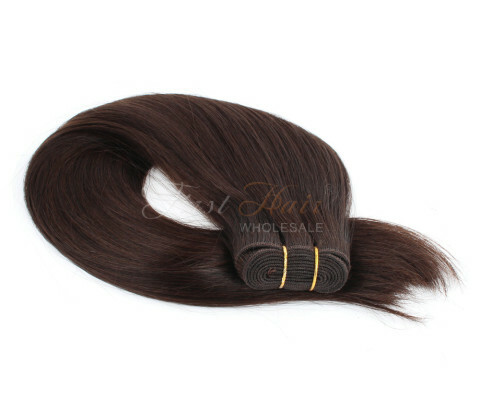 Double drawn hair is hair that is the same thickness at the top of the weft as it is at the bottom so it looks nice and thick on the ends. Single drawn hair, as you get further down it gets thinner, so when you have single drawn hair because of the shorter hairs its quite thick at the top but as the hairs get shorter and shorter within, the ends tend to be thin. So double drawn hair always nicer especially if you are having a full head weave because you do not want really short, thin, wispy ends you want them to be thicker.